Respectmyplanet.org (RMP) is a Michigan based 501(c)3 organization dedicated to water conservation through smarter energy production & waste management logistics. RMP, like many environmental groups, advocates for the increased adoption of wind energy and solar energy to meet the world’s energy needs. RMP advocates for the adoption of fuel cell electric vehicles for cleaner air, a stronger economy, and energy independence. RMP seeks common sense energy solutions to wean ourselves off of oil & coal and to improve our economy and national security. To read RMP’s thesis post on the responsible migration away from crude oil as an energy source you can click here. RMP understands, however, coal and crude oil will be around years to come even if we try our best to adopt better alternatives for producing energy. RMP takes a rational, common sense, & global approach about energy feed stocks like crude oil & coal. We have to do our best to mitigate adverse effects from fossil fuels as long as we continue to use them. This post is about Carbon Capture & Sequestration (#CCS) in Michigan and RMP’s exclusive new map of all #CCS wells in Michigan. Even as RMP advocates for the responsible migration away from crude oil as an energy source, RMP supports #CCS oil production as a means to keep our American workers working as we wean ourselves off of oil and work to build clean and sustainable hydrogen infrastructure for future generations. Michigan is well poised to produce secondary recovery oil by sequestering CO2. Michigan can be a leader in this technology’s research and development. #CCS technology learned and proven in Michigan can be exported to help poorer countries that will be burning coal for a long time to come. India, for example, on October 2, 2016 signed the Paris Climate Agreement which is almost fully ratified. Indian President Narendra Modi called on fully developed countries like ours to export technology like Michigan’s #CCS tech to help India product cleaner energy. Later in this post we will go over why Michigan is well suited to truly be a global leader in R&D for #CCS technology, but first let’s go over the basics of #CCS. What is Carbon Capture & Sequestration (#CCS)? If you’ve been following RMP, like you should be on either Twitter or facebook, you already know what Carbon Capture & Sequestration is. Carbon Capture & Sequestration (also known as #CCS) is the capture of Carbon Dioxide from anthropogenic sources like power plants, cement manufacturing, and fertilizer manufacturing where the CO2 is piped to an abandoned oil well and pumped underground rather than being released to atmosphere. CO2 is a greenhouse gas (GHG) and there is broad consensus amongst scientists that our planet’s climate is being impacted in a negative way by human activities like producing energy using fossil fuels that emit CO2 when burned. 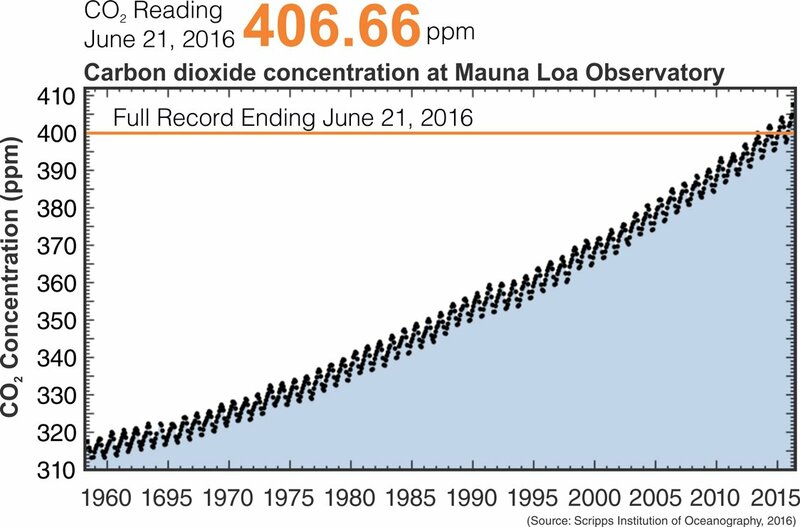 You’ll often hear the term anthropogenic CO2, which means CO2 produced by human activities as opposed to naturally occurring CO2. 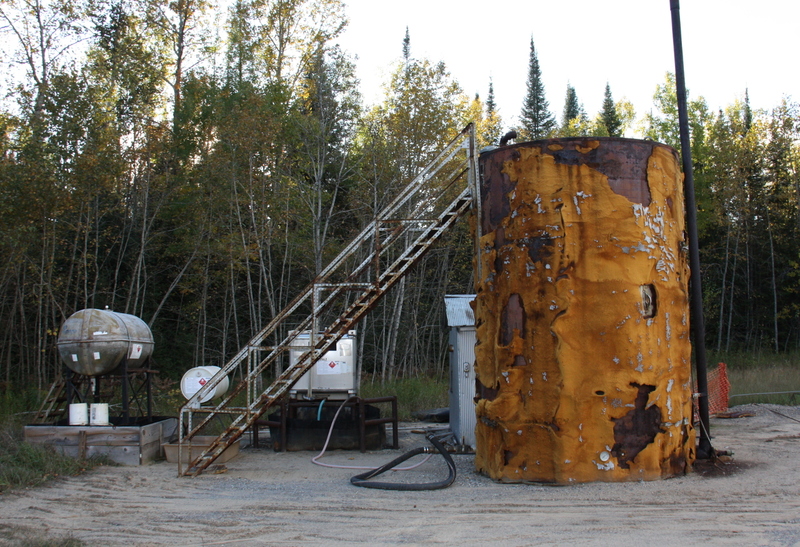 Merit Energy’s #CCS unit in Kalkaska, Michigan. 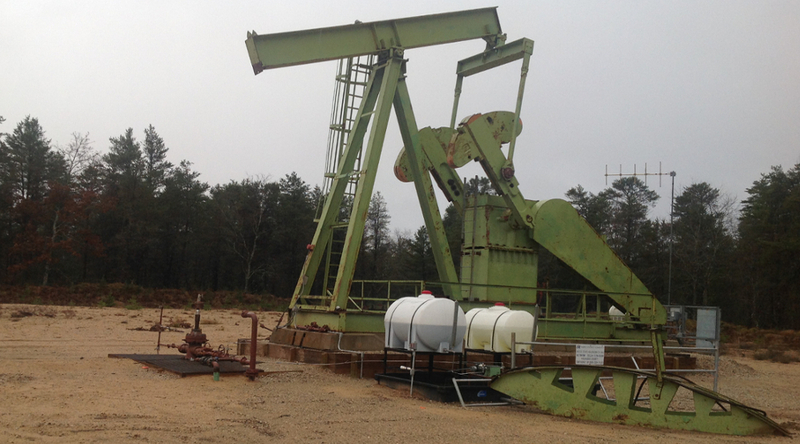 The well pictured, the State Kalkaska F 2-24 WIW, is a water injection well that is part of a three well #CCS unit. Often times in Enhanced Oil Recovery (EOR) there are two methods to “shape” the recovery of Remaining Oil In Place (ROIP) within the reservoir. Sometimes the first part of EOR using #CCS is called the immiscible portion of the project whereby water is injected into the reservoir. The second part, the miscible portion, is when the CO2 is injected into the reservoir. Immiscible means that water and oil do not mix, and miscible means that CO2 & oil do mix. 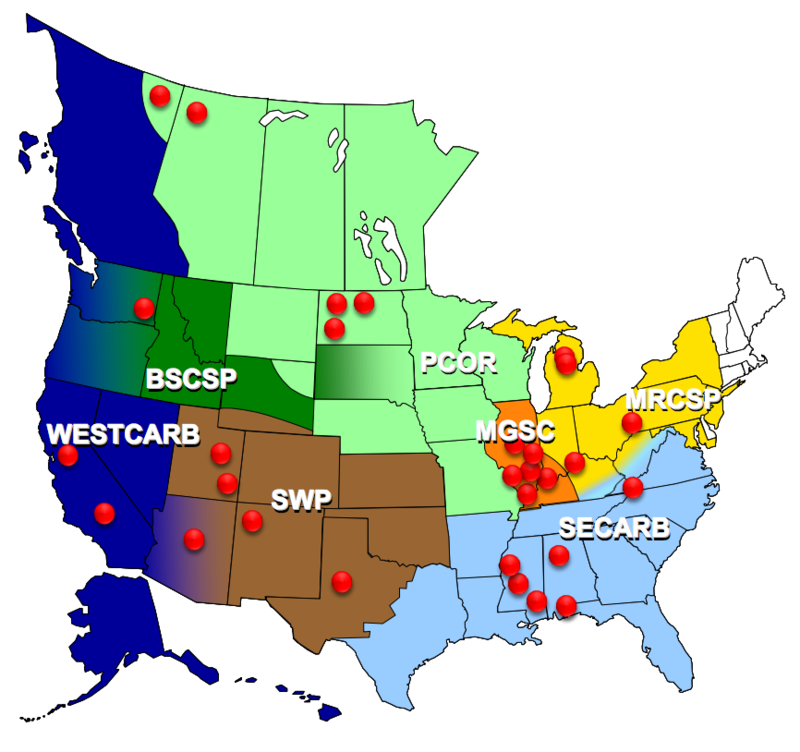 The Midwest Regional Carbon Sequestration Partnership (MRCSP) is a great place to start if you want to learn about #CCS in Michigan or other Midwestern states. 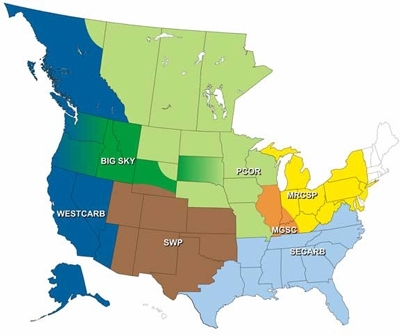 The US Department of Energy has divided North America into seven different Regional Carbon Sequestration Partnerships (RCSPs) and Michigan falls into the MRCSP. RMP encourages you to check out the MRCSP website and to read about the many things going on in our region. You can also check out the US Dept of Energy’s Carbon Capture & Storage Resource Center’s webpage by clicking here. I also encourage you to read Senate Bill S.3179 which is new legislation being sponsored by Heidi Heitkamp that incentivizes #CCS by offering up to a $20 per metric ton credit of CO2 sequestered into a secure geologic formation. An estimated 1.2 billion barrels of potential oil recovery by CO2-EOR was calculated for our MRCSP region based on available data for 265 oil fields in the Midwest. Oil and gas reservoirs within the MRCSP region have an estimated storage resource capacity of 8,511 million metric tons (MMt). Based on an estimated 850 MMt per year of CO2 emissions, these reservoirs could sequester approximately 10 years worth of CO2 in our region. (1) Detailed reservoir characterization, geologic mapping, and modeling and simulation at the field-scale level are the next steps required to delineate prospective areas for future pilot floods and to plan successful CO2-EOR and sequestration projects within our region. This is a static map of all CO2 flooding EOR units in Michigan. This map is the kind you often see on most websites, a static screenshot. 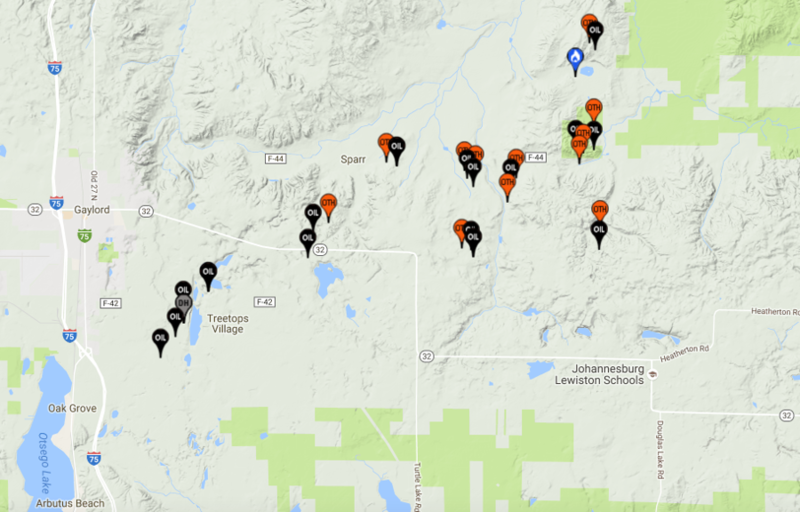 RMP, however, hosts this map as an interactive map where you can zoom in, click on the markers, get access to the well files, upload pictures to the location & more! Scroll to the bottom of this post to see our interactive map, or click here to open our new interactive map of Michigan CO2 wells in a new window. Click image to enlarge. In addition to geological considerations, other factors that come into play when evaluating CO2-EOR potential in a region include (1) location and availability of CO2 sources (e.g., power plants, steel mills, cement plants) and proximity to oil reservoirs, (2) well spacing, (3) unitization issues, (4) location of improperly plugged wells and well-bore integrity, and (5) economic considerations. The Department of Energy has divided the process of #CCS into three distinct phases which have been ongoing for years now. Phase 1 was the characterization phase which led to the Carbon Sequestration Atlas of the US & Canada which was last updated in 2012. Phase 2 was the validation phase where 20 small scale geologic storage tests were completed to validate reservoir simulation models, demonstrate accounting methods, and develop guidelines for future projects. Phase 3 is the development phase which is where we are now. Currently there are only six sites throughout the US & Canada that are undergoing Phase 3 long-term CO2 injection projects to validate the science on storage of large volumes of CO2. Michigan is home to one of those six sites. 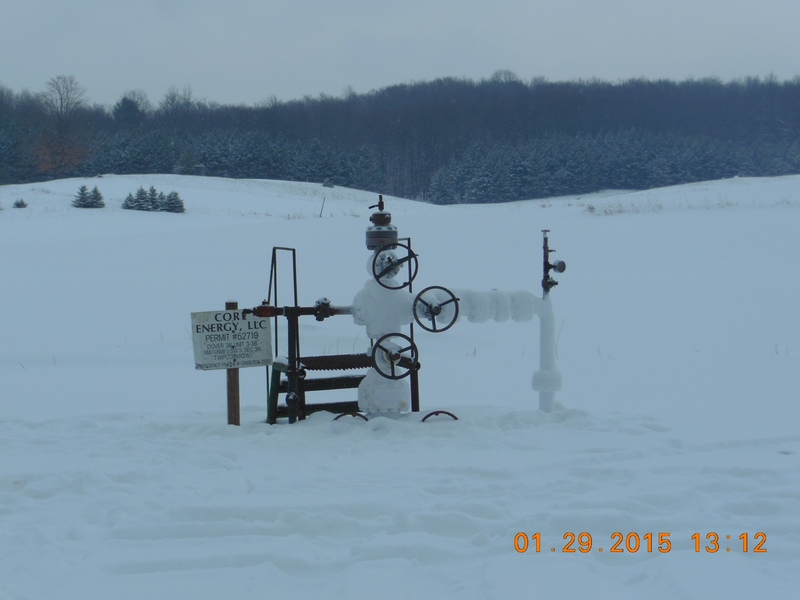 The Dover 2-33 well in Otsego County, which is pictured as the featured image on this post (photo credit: MCRSP) is a well in this small cadre of exclusive projects in North America. As of August 31, 2016 Michigan’s Dover 33 EOR Unit (as it’s called) has sequestered 580,687 tons of CO2, produced 515,284 barrels of oil, provided 170 jobs yielding more than $7.1 million dollars of income, generated $1.3 million in severance & sales taxes, and provided $3.6 million of other taxes & royalties(2). We’ll talk more about what’s going in Michigan with #CCS later in this post. We must face the reality that fossil fuels will be in use for years to come. We must mitigate damaging effects of producing energy from fossil fuels while we work earnestly to move away from them. RMP uses data and science to support our work and we are hoping folks will educate themselves about the ugly truths regarding energy production and why it’s important to face facts. RMP hopes that impassioned environmentalist types against fossil fuels will do more than just cheerlead wind & solar. Supporting wind & solar are great initiatives, but we have to give consideration to the reality of fossil fuels in our lives, our dependency on them, and how we can reduce pollution from them while we work to get off of them. This is a representation of a CO2 injection well in Michigan prepared by Batelle. In this example, the Otsego Central Processing Facility separates CO2 from CH4 in raw Antrim gas. The CO2 is piped over to an injection well and about 6,000 feet to a Niagaran Pinnacle Reef formation (orange bubble near bottom of image). That CO2 “pushes” the oil over to the production well where the pressure forces it up to the surface. The CO2 is removed from the oil again and piped back over to the injection well. If fossil fuels were eliminated overnight there would be big problems because of disruptions to our energy needs. This is because crude oil and coal have become an entrenched part of our economy and energy mix over decades. Crude oil and coal didn’t come about overnight and they’re not going to disappear overnight. RMP is a leading non-profit research & watchdog organization of oil production in Michigan and we take on the API on a regular basis with regard to avarice, ignobility, and their misleading ad campaigns. RMP understands, however, that ending the use of crude oil for energy will be a migration that takes time and we must protect the workers who will need new jobs as we make a transition to smarter forms of energy production. RMP will never give the API or their cohorts a free pass for misleading the public, but we have to be realistic about our own culpability in the energy infrastructure that surrounds us today. RMP advocates for education and understanding with regard to our own complicity of oil usage in our economy; pots calling kettles black will get us nowhere. We all must work together to learn geology and energy science to make real progress. #CCS is a must for becoming GHG Negative and keeping American oil field workers employed while we ramp up new and less volatile jobs in a sustainable hydrogen economy. Producing oil from the sequestration of CO2 is one of the ways environmentalists and an oil industry in its winter years should be able to find common ground. #CCS is important right now to help us make an impact on reducing anthropogenic GHG emissions to atmosphere. Not only is coal going to continue to be an part of providing energy for American consumers for years to come, it is integral to bringing energy to developing countries around the world. Coal is also used in the manufacture of cement all over the world. Fertilizer production is also a large contributor of CO2. There is no magic wand to wave when it comes to a creating a carbon neutral or GHG negative economy. RMP recently blogged about how ExxonMobil is poised to be one of the biggest difference makers in reducing GHG emissions because of their partnership with Fuel Cell Energy using #CCS & molten carbonate fuel cells. #CCS is an immediate concern. We must reduce GHGs from established sources that currently produce a majority percentage of our energy and will continue to persist for the foreseeable future. The longer term concern is developing new energy infrastructure that does not produce GHGs like wind & solar coupled with the production of hydrogen for fuel cells. Making H2 for storage from wind and solar is important for using renewable sources for base load energy for those times when the sun isn’t shining or the wind isn’t blowing. Michigan can be a leader for #CCS technology in the world. Developing and proving out the processes of capturing and sequestering CO2 can be shared with countries like India, China, and many other countries that will be using coal for decades to come. 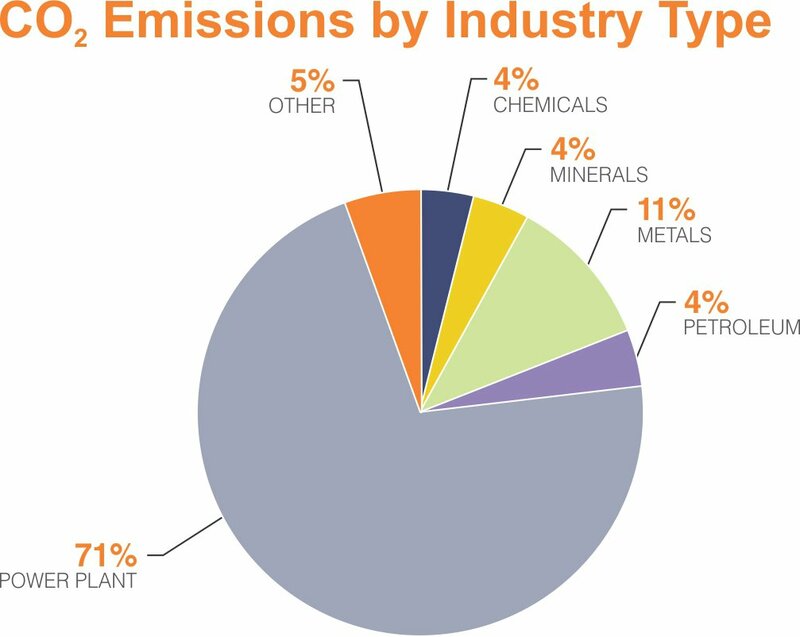 What Is Going On With #CCS In Michigan? Roughly three quarters of all CO2 emissions come from power generation. This is why RMP advocates for coal gasification, HELE coal plants, and carbon dioxide capture & sequestration. Coal is going to be used for decades to come whether you would like it not. We might agree that solar & wind are capable of providing all of our energy one day, but that day is in the future. Let’s focus on science and education and stop witch hunting energy producers. We need to work together on solutions that make progress. How can energy consumers have any less culpability than energy producers? We must get rational and speak out against the fear mongering and junk science rhetoric of groups like Sierra Club, Food & Water Watch, and so many others that ironically threaten our environment and water more than they help it. RMP has been publishing our Michigan Oil & Gas Monthly watchdog magazine for two years now and we have been writing about a Michigan company named Core Energy LLC. 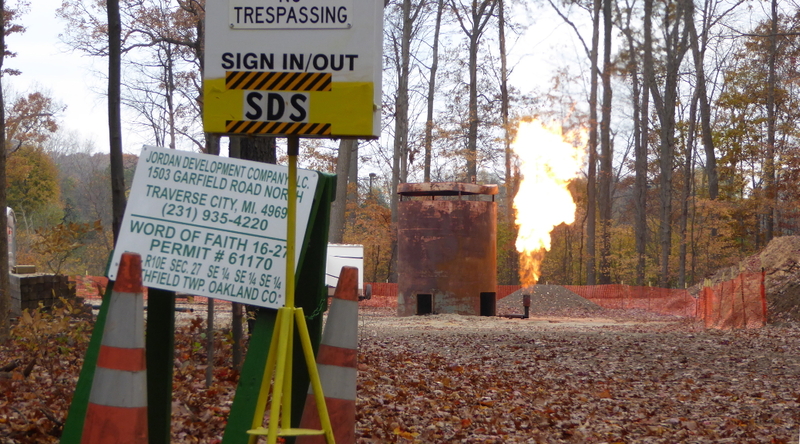 Core Energy LLC is a leader in Michigan #CCS and is one of the only operators in Michigan currently capturing and sequestering CO2 into secure geologic formations. Core is the only operator in Michigan currently executing a US Department of Energy Phase 3 long term high-volume CO2 sequestration project. Merit Energy & Jordan Development are also pursuing #CCS in Michigan to a lesser extent. In EOR using CO2, one or more wells are the injection wells and one or more wells are the producing wells. The idea is that the injection well is being used to push the oil over to the other well. Think of two straws poked vertically through the lid on either end of a shoebox where the shoebox is the hydrocarbon reservoir and the straws are the well bores. You inject something, in this case CO2, down the one straw into this closed loop system and that injection forces something out the other straw. You need formations that can accept the CO2 and produce oil which helps offset the costs of the R&D, labor costs, and CO2 infrastructure costs. Michigan has 800 known Silurian (Niagaran-Age) Pinnacle Reefs in our Niagaran formation from Manistee to Gaylord and then some. You need oil & gas know-how, infrastructure, and regulatory agencies that can oversee the safety of the project and the protection of our most valuable natural resource: fresh water. Michigan has thousands of wells drilled into the Niagaran formation, experienced operators, and we also have the MDEQ to oversee regulatory requirements to protect our fresh water. You need an abundant supply of anthropogenic carbon dioxide nearby to pipeline over to these Niagaran wells in order to pump the CO2 underground and sequester it. Michigan has thousands and thousands of Middle Devonian Antrim Shale gas wells very near the Niagaran wells that produce roughly 80% natural gas and 20% carbon dioxide. The Antrim makes over 1 million tons of CO2 each year that has otherwise just been vented to atmosphere. Let’s do some math to put Antrim CO2 production into perspective: If we convert 21 billion cubic feet of CO2 to pounds or tons, which is how most newspapers write about CO2 emissions, we have to multiply by a factor of 0.1146 and we get about 2.4 billion pounds of CO2 per year vented from the Antrim. 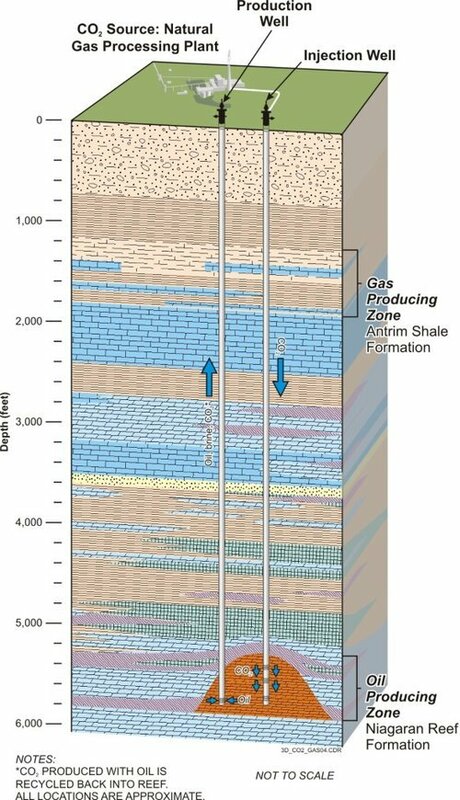 If we divide that figure by 2,000 lbs per ton we get about 1.2 million tons of CO2 emitted to the atmosphere from Michigan’s Antrim Shale each year. For comparison’s sake, the Monroe Power Plant, the biggest power plant in Michigan @ 3,300MW and powered by burning coal, emits about 34.8 billion pounds of CO2 per year to atmosphere, which is about 17.4 million tons. So, the Monroe Power Plant emits about 14 to 15 times more CO2 to atmosphere than the Antrim Shale as a whole. The Monroe Plant also emits about 104k tons of Sulphur Dioxide, 32k tons of Nitrous Oxides, and 780 lbs of Mercury to atmosphere. The Monroe Plant is ranked 7th in the United States for Carbon Dioxide emissions to atmosphere according to SourceWatch. The Monroe Plant was ranked 11th in the US for GHG emissions in a September 29, 2016 @freep article you can read by clicking here. Plants like the Monroe Power Plant and many more are what #CCS technology is really all about down the road. Companies like Core Energy can use their knowledge and expertise to help reduce the CO2 emissions of plants like the Monroe Power Plant. This is the ultimate goal of #CCS ambitions and why the Department of Energy is helping to fund projects like those undertaken by Core Energy LLC in Northern Michigan. There will be many factors in reducing CO2 emissions from large emission sources but we are closer now than ever before to making these goals safe & economically feasible. Recently RMP wrote about ExxonMobil & Fuel Cell energy teaming up to add molten carbonate fuel cells to a natural gas power plant in our Fuel Cells 101 post. There is perhaps no greater technology to get excited about than these molten carbonate fuel cells as their CO2 capture signature is like no other diagram out there: they create energy while concentrating CO2 rather than taxing the power plant of energy to capture CO2. Furthermore, molten carbonate fuel cells are modular and can be added as necessary to the power plant depending on the size of the plant thus making their economics better too. 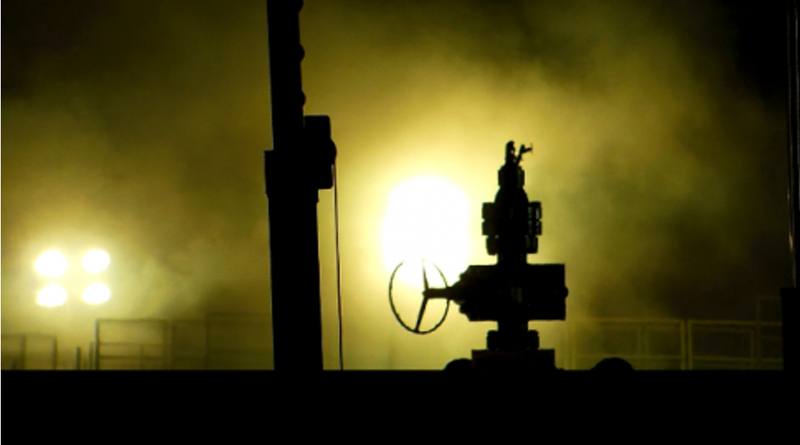 What’s Next for #CCS Proliferation? As we say repeatedly at RMP: always follow the money. The biggest hurdle with the ambitions of #CCS is and will always be cost. We are in the nascent stages of #CCS now but these are exciting times for advancements in the entire scope of #CCS technology. Michigan is demonstrating itself as a leader in CO2 sequestration with Core Energy LLC’s work in Northern Michigan at the Dover 33 EOR Unit. Fuel Cell Energy in Danbury, Connecticut is demonstrating that molten carbonate fuel cells are a potential game changer for the mass adoption of #CCS because of their cost effectiveness on the “capture” side of CO2. ExxonMobil is providing financial support to small companies like Fuel Cell Energy to take technologies like molten carbonate fuel cells to the next level of mass adoption. RMP is Michigan’s authority on sustainable energy production and you can follow us on Twitter or like us on facebook to get regular updates as we create new energy maps and blog about sustainable energy advancements. Stay tuned as RMP continues to cover developments in #CCS and other advanced energy technologies. RMP will be writing many more posts about #CCS as news and additional information becomes available. RMP has been demonstrating our watchdog oil well mapping software since High Volume Hydraulic Fracturing (HVHF) came to Michigan. We wanted to know where the HVHF wells were in our state and learn more about them but the maps just didn’t exist. We could not get straight answers to our many questions. Sure there was the MDEQ’s GeoWebFace and other mapping applications out there but we needed something more robust. That’s when RMP was born. I have been working as a watchdog regarding Michigan oil well data and writing my own software for about 7 years now and what separates RMP data from other data sources is our supplemental data table and exclusive software. By creating an RMP exclusive table that works in conjunction with MDEQ public data, has added hooks & sorting criteria to Michigan data you just can’t find anywhere else. Want to know which oils have ground water contamination issues? Want to know which wells target the Niagaran formation? Or which wells use CO2 EOR? There is no other place on the web that can match the Michigan made mapping software exclusive to RMP. Our CO2 EOR map shown below is a great example of a map you just won’t find anywhere else on the internet. 2. 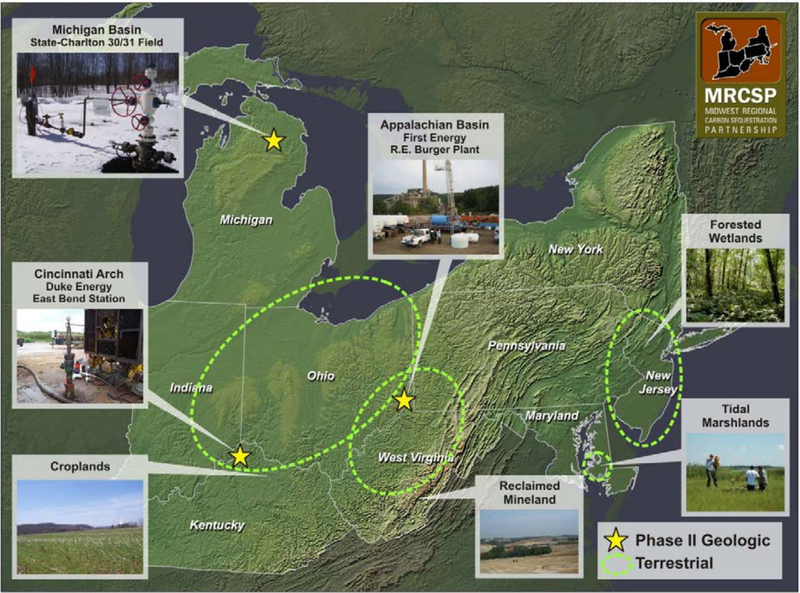 Michigan Phase III Project Update by MRCSP – Note this is a dynamic link and numbers are updated monthly so the numbers quoted at the time of publication will not match the link depending on when you click the link.